The above image happens to be my first ever unscientific, purposely offensive, and rather cynical infographic! I hope the Webcomic's freaks and ghouls won't mind sharing DeRamos.org with flowcharts, Venn diagrams, pie charts, etc. 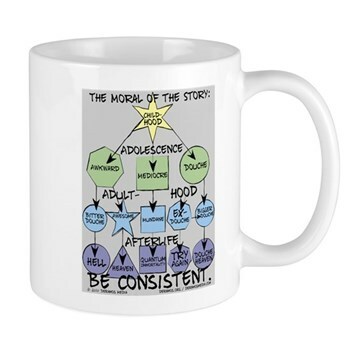 In any case, I should put this flowchart on a T-shirt (and other merchandise) ASAP. 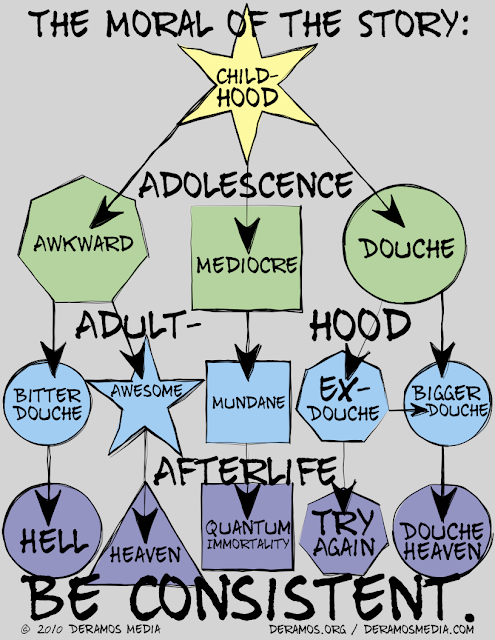 Douche heaven is probably the same as hell (both represented by a circle).